If you keep up with TIS on social media, you may have picked up on some references to Gilmore girls and the upcoming revival set for November 25. This topic may come across as irrelevant to the work we do at TIS, and while I admittedly try to work Gilmore girls into any conversation or aspect of my life whenever possible (I am a crazy obsessed fan and damn proud of it), the Gilmore girls revival is actually an ingenious marketing campaign that’s light, fun and exciting for everyone. We’re talking about experiential marketing (EM) at its finest. What makes the Gilmore girls revival different? As discussed in this blog post, television and film revivals/remakes are “all the rage” right now. While some of these revivals and remakes probably should've never happened, the Gilmore girls revival is different—and I’m not just saying that because I’m a super-fan. Even though series creator Amy Sherman-Palladino (AS-P) and her husband Dan Palladino never got the ending to the show they planned for, they still knew that the series couldn’t be revived without the perfect circumstances. “We always knew it had to be the right venue,” said AS-P in an interview with TV Line. When Gilmore Girls’ back catalog was acquired by Netflix, AS-P and Dan realized that there was a new audience for the show. "And then we thought, ‘Well, now that Netflix exists, maybe now is the time to talk about how we would do it,’” said AS-P.
Plus, it’s more than just a revival. First, details about the revival were slowly released over the course of several months, including returning cast members, exclusive Q & A’s, mild spoilers, on-set photos, and more. You can view all of this info on TV Line. Beginning this summer, Netflix began releasing 60-second season recaps & Gilmore Guide videos every Wednesday. These videos were narrated by Kirk—arguably the show’s quirkiest character—and brought back the nostalgia factor of Gilmore girls, highlighting each season’s key plot points. Gilmore Guide videos included guides to key elements of the show, like Friday Night Dinners, friendships, movie nights, and more (all things you’d understand and deeply appreciate as a fan of the show). These videos not only increased the excitement of die-hard fans but helped gain interest amongst those who’ve never watched the show to see what all the buzz is about. You can view all of these videos on the official Gilmore girls Facebook page. One of the most important settings in the show is Luke’s Diner—Lorelai and Rory’s favorite local joint owned by Luke Danes, one of the show’s main characters. Every Gilmore fan dreams of dining at Luke’s, which is why Netflix created a pop-up event featuring Luke’s Diners in coffee shops and cafés in over 200 cities nationwide. Pretty ingenious, yeah? 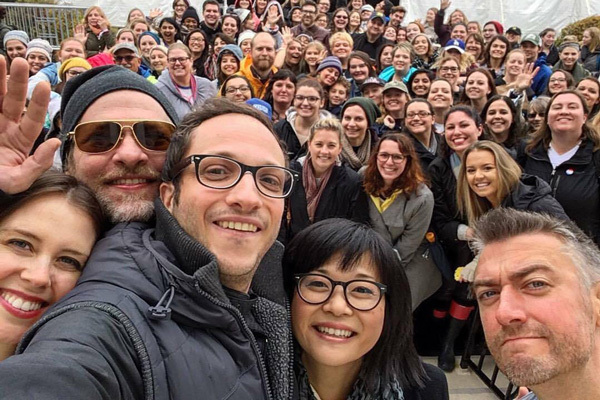 The event was announced just one week before the pop-up diners were to take place—on the day of Gilmore Girls’ 16-year anniversary. Baristas wore flannel shirts and backward caps just like Luke Danes, served free coffee until supplies lasted with Luke’s Diner logo coffee sleeves, cardboard cutouts of Luke and his infamous diner rules, and a Snapchat filter to go with it. The filter was viewed nearly 900k times and the one-day promo reached more than 500k people. And lastly (for now), Netflix created an official website for the town of Stars Hollow as if the townspeople were running it themselves. Town updates, local business advertisements, Town Meeting Requests, and more decorate this site, bringing the fictional town of Stars Hollow to life. This site allows you to participate like a true townie. Needless to say, Netflix and Gilmore girls are killing the game with EM. 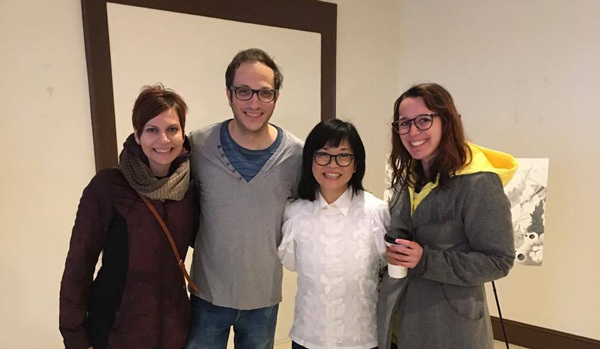 And the best part of all—a Gilmore Girls Fan Festival! 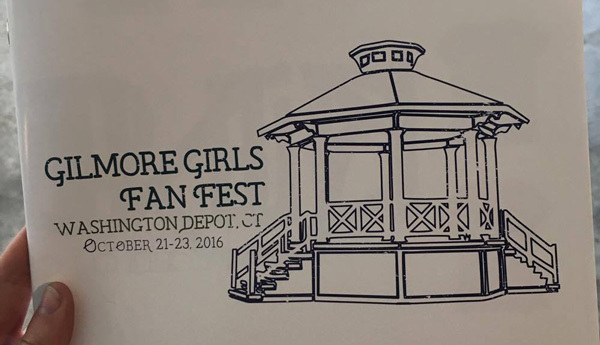 As if all the build-up for the series revival wasn’t exciting enough for the fans, the Gilmore fandom received the best news imaginable this past August—a Gilmore Girls Fan Festival was actually happening—and not just anywhere, but in the actual town that Stars Hollow was based off—Washington, CT. This festival was not a Netflix-hosted event, rather an idea birthed by a mega-fan. As soon as I found out, you bet your bottom dollar that I bought a ticket because I’d be damned to pass up the opportunity to visit the IRL Stars Hollow in my lifetime. 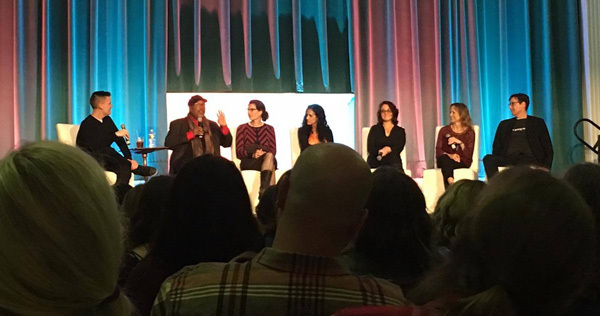 The weekend was magical and created more excitement for the show’s revival for fans, crew and cast. Even though this event wasn’t hosted or initiated by Netflix, the fan festival was the ultimate example of EM—this time, free-of-charge for Netflix, and will in-turn create more viewership during the release. With media coverage from Vanity Fair, Travel Pulse and more, Netflix should be thanking festival creators Jeannie & Marcus Whitaker for their ability to make this happen. We may not be able to compare the effectiveness of the Gilmore girls revival as it is currently being marketed versus a different marketing approach, but it is clear that EM was an extremely smart and fun approach in this case. Oh, and if you wanted to get even more pumped for November 25, here’s the official trailer.